Charles Franklin Kettering (August 29, 1876 – November 25, 1958) sometimes known as Charles "Boss" Kettering was an American inventor, engineer, businessman, and the holder of 186 patents. He was a founder of Delco, and was head of research at General Motors from 1920 to 1947. Among his most widely used automotive developments were the electrical starting motor and leaded gasoline. In association with the DuPont Chemical Company, he was also responsible for the invention of Freon refrigerant for refrigeration and air conditioning systems. At DuPont he also was responsible for the development of Duco lacquers and enamels, the first practical colored paints for mass-produced automobiles. While working with the Dayton-Wright Company he developed the "Bug" aerial torpedo, considered the world's first aerial missile. He led the advancement of practical, lightweight two-stroke diesel engines, revolutionizing the locomotive and heavy equipment industries. In 1927, he founded the Kettering Foundation, a non-partisan research foundation. He was featured on the cover of Time Magazine on January 9, 1933. Charles was born in Loudonville, Ohio, United States, the fourth of five children of Jacob Henry Kettering and Martha (Hunter) Kettering. Poor eyesight gave him headaches in school. After graduation he followed his sister Emma into a teaching position at Bunker Hill School. By all accounts he was an engaging and innovative teacher. He attracted students to evening scientific demonstrations on electricity, heat, magnetism, and gravity. He took classes at The College of Wooster, before transferring to The Ohio State University. He was a member of the Delta Upsilon Fraternity. Eye problems forced him to withdraw, and he took a job as foreman of a telephone line crew. At first, the termination of his studies caused him to be depressed. Then he found ways to apply his electrical engineering skills on the job, and his spirits revived. He also met his future wife, Olive Williams. When his eye condition improved, he was able to return to his studies and graduated from OSU in 1904 with an electrical engineering degree. Kettering was hired directly out of school to head up the research laboratory at National Cash Register (later known as NCR Corporation). Kettering invented an easy credit approval system, a precursor to today's credit cards, and the electric cash register in 1906, which made ringing up sales physically much easier for sales clerks. Kettering distinguished himself as a practical inventor. As he said, "I didn't hang around much with other inventors and the executive fellows. I lived with the sales gang. They had some real notion of what people wanted." During his five years at NCR, from 1904 to 1909, Kettering secured 23 patents for NCR. He attributed his success to a good amount of luck but added, "I notice the harder I work, the luckier I get." Beginning in 1907, his NCR colleague Edward A. Deeds convinced Kettering to develop improvements for the automobile. He told Kettering, "There is a river of gold running past us,"  implying that, with their know-how, all they needed to do was dip into it. Deeds and Kettering invited other NCR engineers, including Harold E. Talbott, to join them nights and weekends in their tinkering at Deeds's barn. They became known as the "Barn Gang," and Kettering was their leader. Boss Ket, they called him. They set their first task as improving ignition, replacing the magneto. In 1909, Kettering resigned from NCR to work full-time on automotive developments. The Barn Gang incorporated as Dayton Engineering Laboratories Company, or Delco. Early automobiles required a hand crank for starting. Occasionally, when the spark lever was not properly set, the hand crank kicked back, causing serious injury: a broken wrist, arm, or shoulder. On a winter night in 1908, the result was much worse. Byron Carter, founder of Cartercar, came across a stalled motorist on Belle Isle in the middle of the Detroit River. He gallantly offered to crank the car for the stranded driver. When she forgot to retard the spark, the crank kicked and broke Carter's jaw. Complications developed, and Carter later died of pneumonia. When Cadillac chief, Henry M. Leland, heard the news, he was distraught. Byron Carter was a friend; the car that kicked back was a Cadillac. "The Cadillac car will kill no more men if we can help it," he told his staff. Leland's engineers were able to build an electric self-starter, but the device was not small enough to be practical. He called Charles Kettering. The engineers at Delco worked around the clock to get the job done by the February 1911 deadline. Kettering later described their work thus: They didn't have a job so much as the job had them. Kettering's key insight lay in devising an electrical system that performed the three purposes it continues to serve in modern cars: starter and, as generator, producer of spark for ignition as well as current for lighting. Leland approved their product for his 1912 model and placed an order for 12,000 self-starters. Delco, the research and development outfit, had to quickly learn the business of production. Kettering's self-starter won a Dewar Trophy in 1913. He was a founder member of the Engineers Club of Dayton in 1914. In 1914, Flxible Sidecar Company was incorporated with the help of Kettering, who then became president of the company and joined the board of directors. Kettering provided significant funding for the company in its early years, particularly after 1916, when Kettering sold his firm, the Dayton Engineering Laboratories Company (Delco), to United Motors for $2.5 million. Kettering continued to serve as president of Flxible until he became chairman of the board in 1940, a position that he held until his death in 1958. Delco was sold to General Motors in 1918, as part of United Motors Company. Delco became the foundation for the General Motors Research Corporation and Delco Electronics. Kettering became vice-president of General Motors Research Corporation in 1920 and held the position for 27 years. Between 1918 and 1923, he led the research and development at GM's Dayton research laboratories to commercialize air-cooled engines for cars and trucks. They used fans forcing air across copper fins for heat dissipation. The commercialization, attempted between 1921 and 1923, was unsuccessful due to a combination of factors, nontechnical and technical. Air-cooled engines have had commercial success before and since, in various fields (small engines, aircraft, cars), but the historical moment of GM's "copper-cooled" automotive engine was inauspicious. Kettering's research in fuel was based on his belief that oil would be in short supply and additives would allow more efficient engines with higher compression. His "high percentage" solution was to mix ethanol with gasoline, while his "low percentage solution" looked for additives that would be added in small quantities to increase what later would be called the octane rating of gasoline. Thomas Midgley Jr. and Kettering identified tetraethyllead (TEL) in December 1921 as an additive that would eliminate engine knocking at a dilution of one thousand to one. While use of ethanol could not be patented, TEL's use as an additive could. Kettering and Midgley secured its patent and proceeded to promote the use of TEL as an additive instead of other options. Kettering became the first president of the newly founded Ethyl Corporation that started to produce TEL in 1923. One year later, he hired Robert A. Kehoe as the medical expert to proclaim that leaded gasoline was safe for humans. That its use was an ecological disaster leading to a global lead contamination was not acknowledged until many decades later. Kettering and Deeds had a lifelong business, professional and personal relationship. In 1914, recognizing that Dayton was among the leading industrial cities in the US because of the skilled engineers and technicians in the city, they founded the Engineers Club of Dayton and the Foreman's Club of Dayton, which later on became the National Management Association. Kettering married Olive Williams of Ashland, Ohio, on August 1, 1905. Their only child, Eugene Williams Kettering, was born on April 20, 1908. Eugene W. Kettering joined Winton Engine in 1930, which was acquired by General Motors and was eventually incorporated into the General Motors Electro-Motive Division (EMD). The younger Kettering became a central figure in the development of the EMD 567 and the Detroit Diesel 6-71, serving at EMD until his retirement in 1960. Charles Kettering built a house, "Ridgeleigh Terrace", in 1914. According to local sources, this house was the first in the United States to have electric air conditioning. Ridgeleigh Terrace was the home of his son, Eugene Kettering, until his death. Eugene's wife, Virginia Kettering, lived in the house for many years, restoring and redecorating it. In the late 1990s, the house was seriously damaged in a fire, but it was rebuilt according to the original blueprints. Some of his memorable quotations are: "It doesn't matter if you try and try and try again, and fail. It does matter if you try and fail, and fail to try again. ", "Failures are finger posts on the road to achievement. ", "My interest is in the future because I am going to spend the rest of my life there." . Kettering died on November 25, 1958. After his death, his body lay in honor at the Engineers Club and then was interred in the mausoleum at Woodland Cemetery, Dayton, Ohio. Kettering held 186 U.S. patents. He invented the all-electric starting, ignition, and lighting system for automobiles. Electric starters replaced crank (manual) starting of automobiles. First incorporated in the 1912 Cadillac, all-electric starting aided in the growth of the US auto industry by making the automobile easy for anyone to start. Other patents included a portable lighting system and an incubator for premature infants. His engine-driven generator was combined with storage batteries to form a "Delco Plant", providing an electrical power for farmsteads and other locations far from the electrical power grid. In 1918 Kettering designed the "aerial torpedo", nicknamed the Kettering Bug. 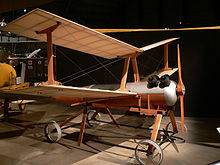 The 300 lb papier-mache missile had 12 foot cardboard wings, and a 40 hp engine. It could carry 300 lbs of high explosives at 50 mph, and cost $400. The "Bug" is considered the first aerial missile, and lessons learned from the "Bug" led to development of the first guided missiles, as well as radio-controlled drones. Kettering and colleagues' development of leaded gasoline ultimately caused the release of large quantities of lead into the atmosphere as a result of the combustion of leaded gasoline all over the world. Due to the neurotoxic effects of lead, leaded gasoline has been widely banned since the late 1990s. The development of Freon using CFCs has been implicated in the depletion of the ozone layer. But during the first half of the twentieth century, most people, including Kettering and his colleagues, did not appreciate or fully understand the environmental degradation potential of their work. They were convinced that the lead concerns were negligible. They were not aware of the ozone layer depletion at the time. It took decades for the lessons to be learned. He developed the idea of Duco paint and helped develop diesel engines and ways to harness solar energy. He was a pioneer in the application of magnetism to medical diagnostic techniques. His inventions, especially the electric automobile starter, made him wealthy. In 1945, he helped found what became the Memorial Sloan Kettering Cancer Center, based on the premise that American industrial research techniques could be applied to cancer research.. His son and daughter-in-law, Eugene and Virginia, created Kettering Medical Center in Ohio, as a tribute to Charles Kettering's life and his work in healthcare research. On January 1, 1998, the former General Motors Institute changed its name to Kettering University to honor Kettering as a founder. He was awarded the Franklin Medal in 1936. He was awarded the Hoover Medal in 1955. He was awarded the IEEE Edison Medal in 1958. In 1998, GMI Engineering and Management Institute (formerly General Motors Institute), of Flint, Michigan, changed its name to Kettering University in honor of Kettering. His ideals, prowess, and belief in co-operative education continue there. Kettering is also remembered through the Memorial Sloan-Kettering Cancer Center, a cancer research and treatment center in New York City, and through the Kettering Health Network, which includes several hospitals and medical center campuses as well as Kettering College in Kettering, Ohio. The city of Kettering, Ohio, a suburb of Dayton, was named after him when it was incorporated in 1955. The former U.S. Army Air Service testing field, McCook Field, is now a Dayton park called Kettering Field. The endowed Olive Williams Kettering Chair of The College of Wooster Department of Music is named in honor of his wife. The Kettering Science center on the Ashland University campus in Ohio is named for him. Kettering Hall at Wilmington College is named for him, also Kettering Hall of Science at Oberlin College. ^ "Kettering, Charles F." Generations of GM History. General Motors Research Laboratories. Archived from the original on 2013-09-05. Retrieved 21 February 2018. ^ "Engineers Club of Dayton - Ohio History Central". www.ohiohistorycentral.org. Retrieved 2017-12-11. ^ a b "Fuels and Society: Charles Kettering, Thomas Midgley and Tetraethyllead". Kennesaw University. Archived from the original on 6 February 2012. Retrieved 2014-05-25. ^ a b Brock, David C.; Gallwas, Gerald E. (22 January 2003). Max D. Liston, Transcript of an Interview Conducted by David C. Brock and Gerald E. Gallwas in Irvine, California and Fullerton, California on 19 February 2002 and 22 January 2003 (PDF). Philadelphia, PA: Chemical Heritage Foundation. ^ "Biography of Charles F., Eugene, and Virginia Kettering". OhioLINK. Retrieved 6 January 2015. ^ Kovarik, William. "Ethyl-leaded Gasoline: How a Classic Occupational Disease Became an International Public Health Disaster". International Journal of Occupational and Environmental Health. 11: 384–397. doi:10.1179/oeh.2005.11.4.384. ^ "Our GMI Heritage". Kettering.edu Website. Archived from the original on May 11, 2008. Retrieved 2008-05-13. On January 1, 1998, GMI changed its name to honor the man who not only helped found this institution, but also had a strong influence in the concept of professional cooperative education -- Charles "Boss" Kettering. ^ "Kettering Hall of Science · Oberlin College Archives". oberlinlibstaff.com. 2017. Retrieved 2 May 2017. Bernstein, Mark (1996). Grand Eccentrics: Turning the Century: Dayton and the Inventing of America. Wilmington: Orange Frazer Press. Boyd, Thomas Alvin (1957). Professional Amateur: the Biography of Charles Franklin Kettering. New York, NY, USA: E. P. Dutton & Co. LCCN 57005336. OCLC 565024. Boyd, Thomas Alvin (2002) . Charles F. Kettering: A Biography. Reprint of Boyd 1957. Cornelisse, Diana G. (2002). Splendid Vision, Unswerving Purpose: Developing Air Power for the United States Air Force During the First Century of Powered Flight. Wright-Patterson Air Force Base, Ohio: U.S. Air Force Publications. ISBN 0-16-067599-5. Dauvergne, Peter (2008). The Shadows of Consumption. MIT Press. ISBN 978-0-262-04246-8. Kovarik, William (2006). "Ethyl-leaded gasoline: how a classic occupational disease became an international public health disaster" (PDF). International Journal of Occupational and Environmental Health. 11 (4): 384–397. doi:10.1179/oeh.2005.11.4.384. PMID 16350473. Archived from the original (PDF) on 2014-07-11. Leland, Wilfred C.; Millbrook, Minnie Dubbs (1996) . Master of Precision: Henry M. Leland. Detroit: Wayne State University Press. Sloan, Alfred P. (1990) . McDonald, John, ed. My Years with General Motors. Garden City, NY, USA: Doubleday. ISBN 9780385042352. LCCN 64011306. OCLC 802024. Leslie, Stuart W. (1983). Boss Kettering: Wizard of General Motors. New York: Columbia University Press. Wikimedia Commons has media related to Charles F. Kettering. Today in Science History - collection of radio talks given by Kettering in 1942-1945 on science and invention, including transportation.